Like it or not, living rooms around the world are no longer dominated by the TV. Sure, it's still on in the background, but our attention is now mostly held by smartphones and tablets while we lounge about. So forget a surround sound setup, the best upgrade for your living room is now an extra long cable to keep everyone's devices charged. 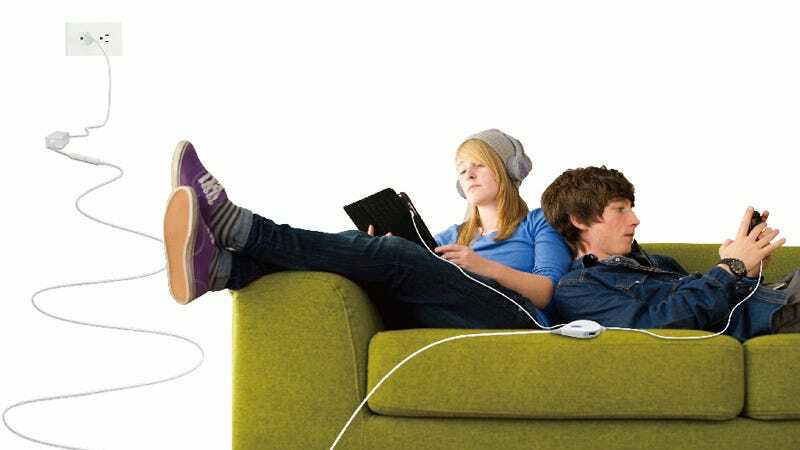 And since nothing can fuel a family feud faster than fighting over outlets, this $60 15-foot extension cord ends in a compact hub with three 2.1-amp USB ports meaning both smartphones and tablets can all charge at the same time.